IMMEDIATE SHIPPING! PURCHASE ORDERS WELCOME! In today’s tough economic times, being a good communicator can make all the difference between getting promoted and getting laid off, between getting hired and getting fired. 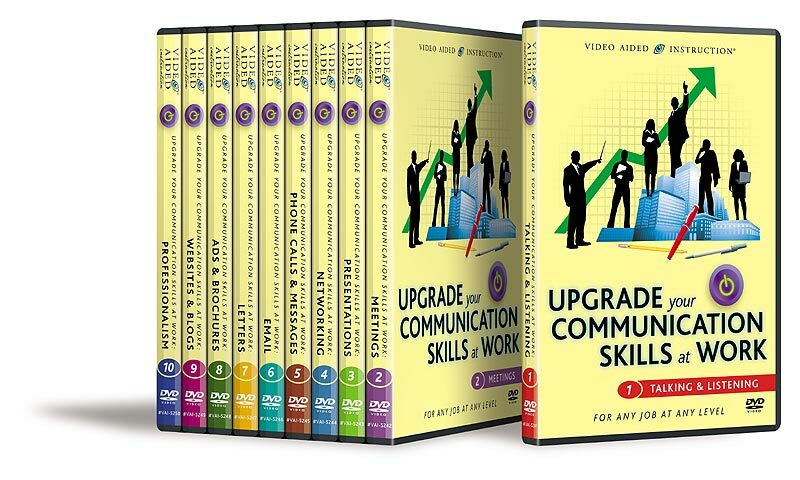 Now, with Video Aided Instruction’s Upgrade Your Communication Skills at Work series, you can learn the little-known secrets that set the best apart from the rest! So whether you want to keep your job or get a new one, whether your company has 3 employees or 3,000, Video Aided Instruction can help you climb the ladder to success! 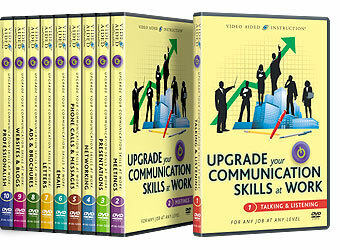 NOTE: The 10 DVDs in this invaluable series are a great investment for libraries, schools, and colleges that wish to help strengthen America’s workforce and boost the economy!